Vancouver, British Columbia - February 6, 2019 (Newsfile Corp.) (Investorideas.com Newswire) Max Resource Corp. ("MAX" or the "Company") (TSXV: MXR) (OTC Pink: MXROF) (FSE: M1D1) is pleased to announce exploration results from the Company's 1,757 sq. 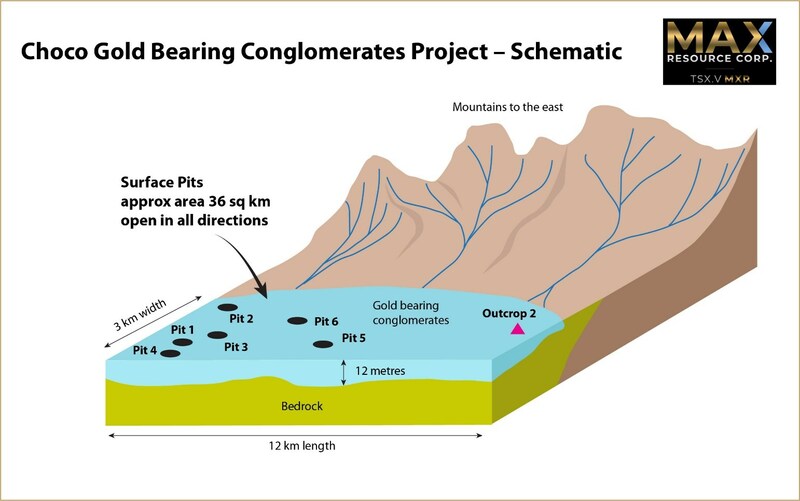 km gold bearing conglomerate "Choco Precious Metals Project", located 100km SW of Medellin, Colombia. 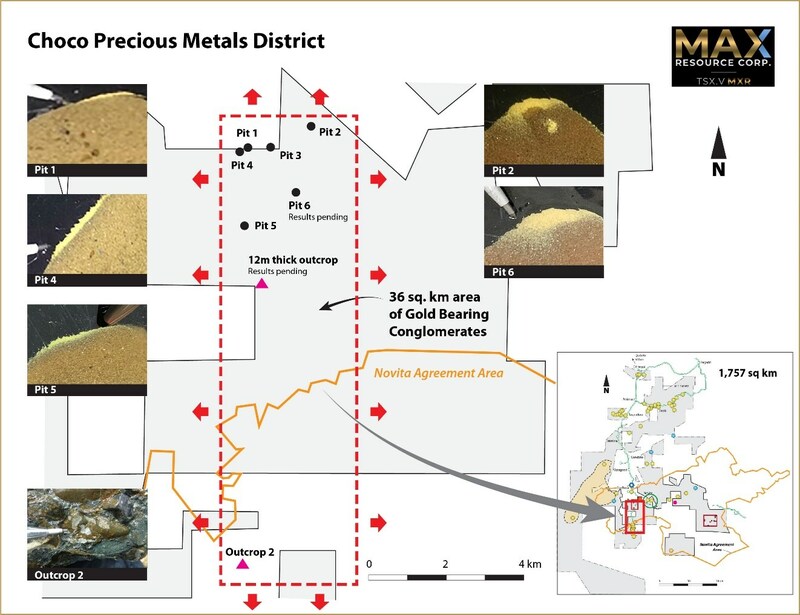 Field exploration continues, with the objective of increasing the lateral extent of the conglomerates and gold mineralization of the Company's Choco Precious Metals district area.